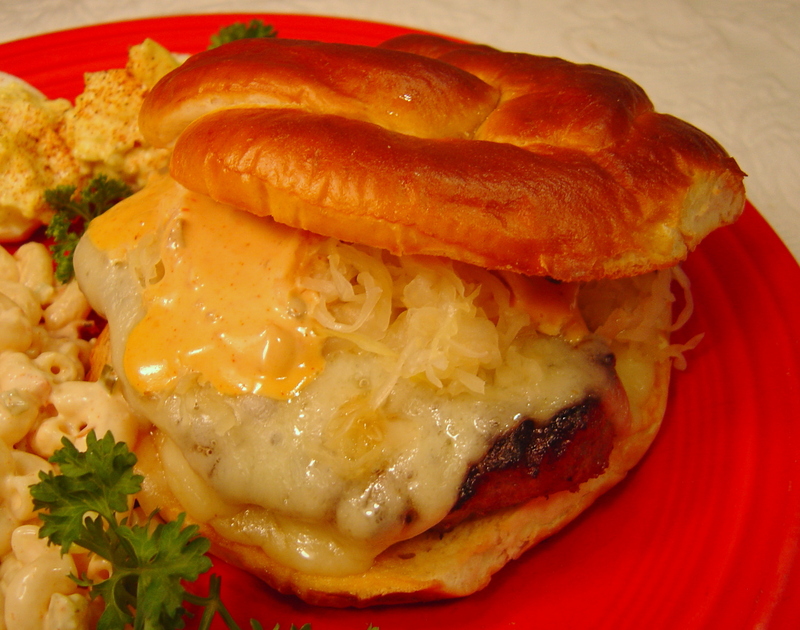 Bratwurst burgers made like a Reuben on a pretzel roll. Delish! 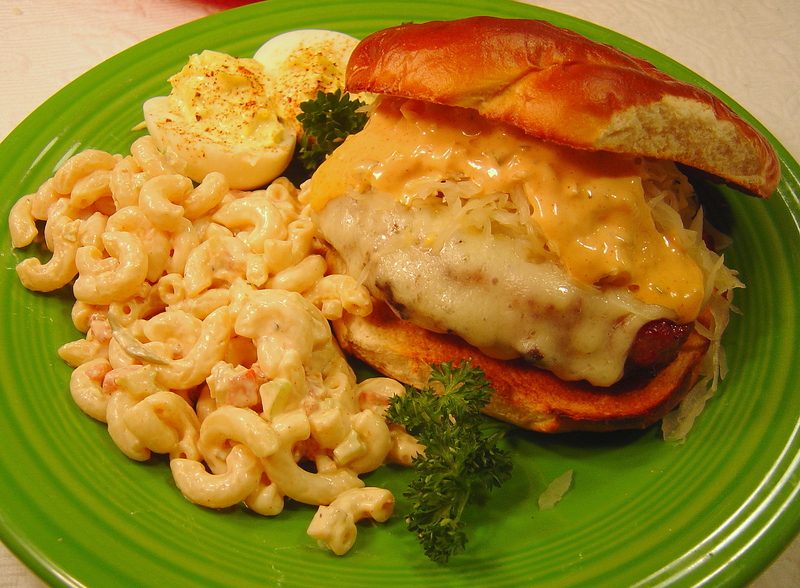 Burgers shown with Deli-Style Macaroni Salad and Devilled Eggs. If using bratwurst links, remove casings and shape meat into three 1/3 pound patties. 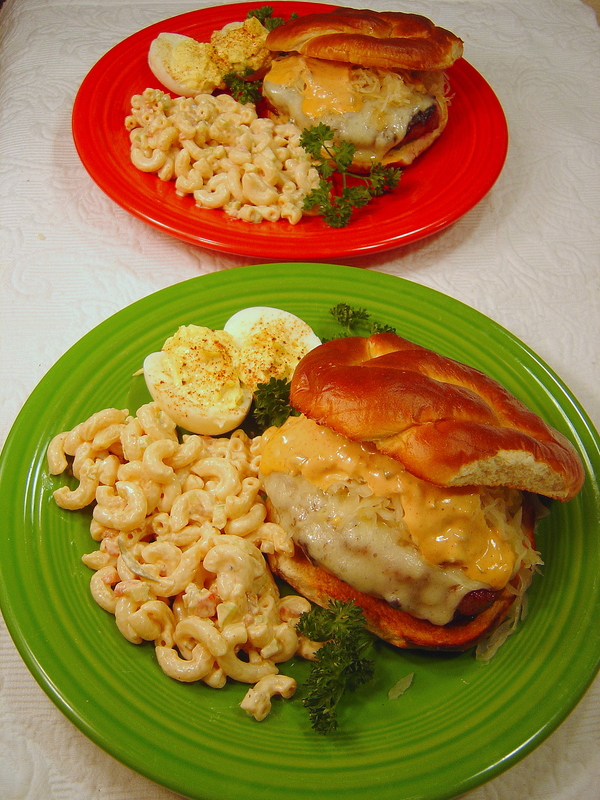 Grill or fry bratwurst patties until cooked through; melt cheese on top. Toast pretzel rolls and top with bratwurst and cheese, warm sauerkraut and thousand island dressing. Hi, Kathy from just outside of St Louis. I just showed my husband two of your posts and he’s pretty interested in trying them. We are currently making sauerkraut and these would be perfect! very challenging for a bigginer cook like me, but it’s a yes to remaking them and adding things in. i loved it.